On the heels of a decisive victory in front of a sold out crowd, the Charlotte Roller Girls are gearing up for its second home bout of the 2009 season. 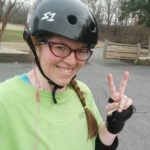 On April 18 at the Grady Cole Center, Charlotte’s only all-female flat track roller derby league will take on the River City Rollergirls of Richmond, VA. It marks the first time the two leagues have faced off against each other. 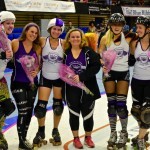 The Charlotte Roller Girls, known in roller derby as a league, has two teams – All-Stars and B Dazzlers. The roster for each team changes throughout the season with players transferring from team to team based upon individual performance. The All-Stars, made up of the league’s veteran skaters, will compete in the next two home bouts. The All-Stars are undefeated in 2009 boasting a record of 2-0. 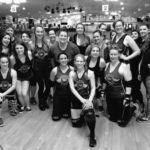 The overall record for the Charlotte Roller Girls league is 2-1. Seating is limited and fans are encouraged to arrive early. Doors will open at 6:15 p.m. with the bout starting at 7:00 p.m.
Tickets for the April 18 bout are on sale now and can be purchased in advance for $10 by visiting www.charlotterollergirls.com or in person at The Common Market (Commonwealth Ave.). Tickets can also be purchased at the door for $14. Season ticket packages are still available.